FAU is coordinating a project for using carbon dioxide efficiently and internally in steelworks. Six percent of the world’s CO2 emissions are generated by steel production. The use of renewable energy sources in the steel industry is thus very important for responding to climate change. For this reason, researchers at Friedrich-Alexander-Universität Erlangen-Nürnberg (FAU) have now initiated the i3upgrade project in conjunction with partners from all over Europe to recycle the CO2 from the steel manufacturing process and thus reduce emissions. Scientists intend to use methane synthesised from ‘green’ hydrogen from renewable energy sources and blast furnace gases to replace natural gas. In addition, methanol, which is an important base chemical, will be produced from the blast furnace gases. The Chair of Energy Process Engineering, led by Prof. Dr.-Ing. Jürgen Karl, is coordinating the new EU project i3upgrade. The aim of the project is to reduce CO2 emissions by developing strategies to prevent CO2 emissions from blast furnace gases and to reuse the CO2 in steel making processes instead. Methane, or natural gas, is an important energy source for steelworks. Methanol is also an important substance for the chemical industry that, like natural gas, often has to be imported. This is what the scientists would like to change. They intend to synthesise methane and methanol by using renewable hydrogen and process gases that are produced during the steel manufacturing process. Internal synthesis of methane and methanol is significant as the electricity supply from renewable energies often fluctuates. This enables industries to react to fluctuations in the price of electricity and the electricity supply and increasingly fall back on energy generated in house. This dynamic methane and methanol synthesis is a significant group of topics in the i3upgrade project and is unique compared to conventional methods. FAU researchers are not only conducting experimental research into this synthesis, but also drafting a core concept for low-emission steelworks that can be used as a guide by the European steel industry. The Chair of Chemical Reaction Engineering at FAU is also taking part in the project. The working group of Prof. Dr. Hannsjörg Freund is researching the influence of this innovative dynamic method in the laboratory on the catalysts that are required for methanation. A model based on this research is being developed to simulate plants on an industrial scale. This provides insights into the behaviour of steelworks over a longer period of time, such as during fluctuations in performance. FAU researchers are investigating a new reactor concept for methanation in conjunction with project partners from industry. Methanation is an exothermic reaction, which means that it releases heat. The researchers have therefore integrated heat pipes into the reactor allowing the heat to dissipate at very high temperatures and thus enabling it to be reused in gasification or in other downstream processes. At the same time, the improved heat dissipation allows for more compact reactor designs. In contrast to the conventional methanation process where the temperature is gradually reduced during several steps in the reaction, this new development cuts costs and complexity. The project, which is being funded at a total of 3.3 million euros by the European Research Fund for Coal and Steel and managed by the European Commission, started in June 2018 and is scheduled for completion at the end of November 2021. Two million euros of this funding is being provided by the EU. 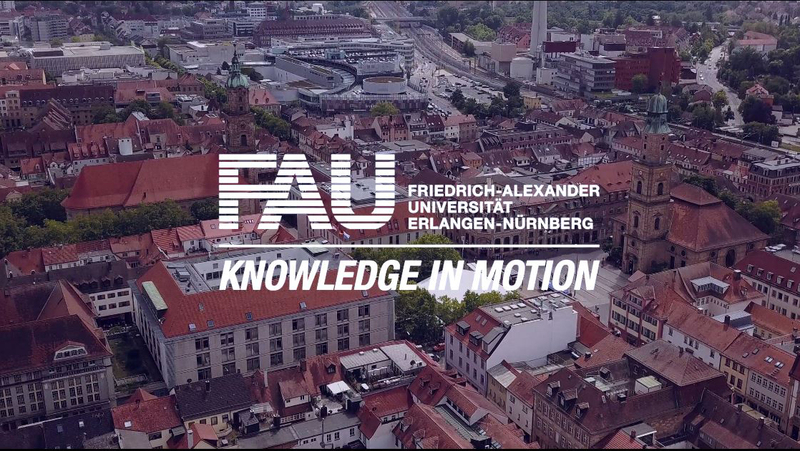 The aim of the project is to enable researchers to test the feasibility of dynamic methane and methanol synthesis using blast furnace gases in experiments in the laboratories of the Chair of Energy Process Engineering at FAU. The overall concept makes ‘an important contribution to the competitiveness of the European steel industry while increasing environmental friendliness’, emphasises project coordinator Jürgen Karl. voestalpine Stahl GmbH is providing the samples of gas from the manufacturing process thus securing the relevance of this project for industry. AirLiquide Forschung und Entwicklung GmbH is another partner from industry. A further five research partners from Poland (Central Mining Institute), Austria (Montanuniversität Leoben and K1-MET GmbH), Greece (Centre for Research and Technology Hellas) and Italy (Scuola Superiore Sant’Anna) complete the international consortium of i3upgrade. i3upgrade stands for ‘Intelligent and Integrated upgrade of carbon sources through hydrogen addition for the steel Industry’.